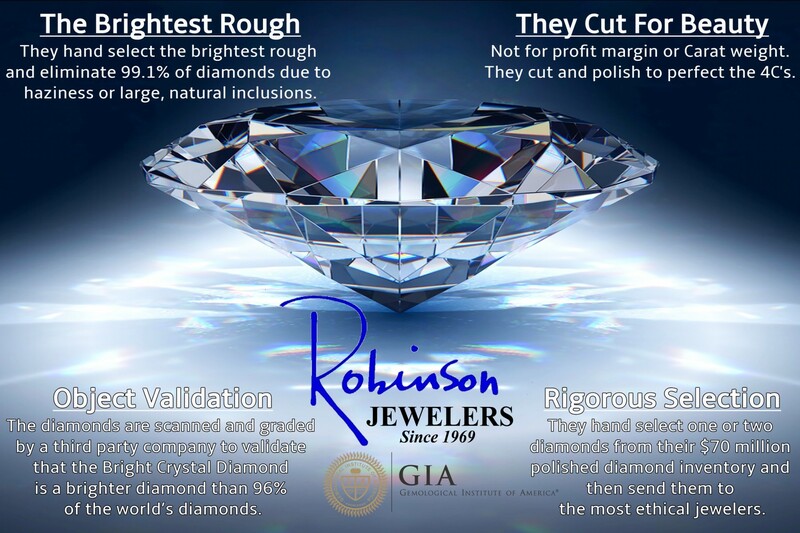 The rough our diamonds are cut from is closely analyzed for the inherent quality of the original rough to distinguish that our diamonds come from the most brilliant natural crystals. The Bright Crystal Diamond is an affordable brand that is brighter. Thanks to our partnership with our diamond importer, we proudly carry the brightest diamonds in the room. Cutting is an Art Form that has been mastered by our importer’s family who has been a Market Leader since 1972. Approximately, 1 Billion naturally polished diamonds are produced each year. 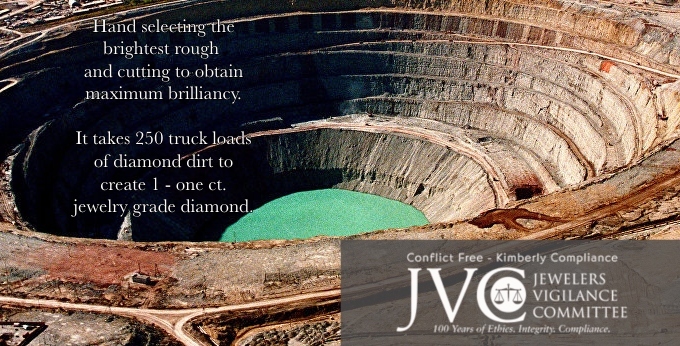 In the entire world 150,000,000 carats are mined annually. 99.1% of the world’s diamonds get eliminated because of the rigorous selection process to qualify as the Bright Crystal Diamond. The Hand Selection Process involves Hand Picking 1-2 Polished diamonds from 100’s of diamonds with the same size, color & clarity.